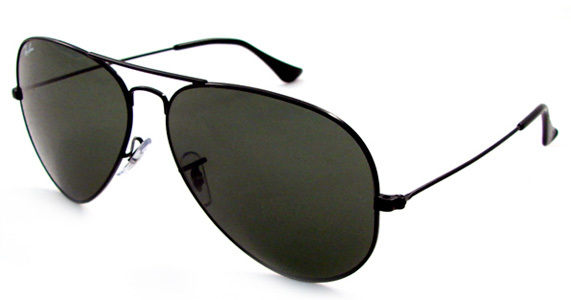 Russell Crowe wears black Ray-Ban 3025 Aviator sunglasses in the movie The Next Three Days. His character wears the dark shades to stay incognito. Looks like the exact color of the Ray-Ban sunglasses that Crowe is wearing is Black frame and Gray (non-polarized) lenses, color-code 002.